Evaluating your assets and the risks posed to them is the first step in Asset Protection Planning 101. 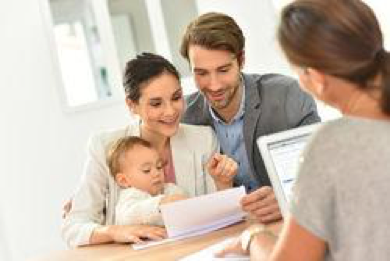 Parents have different risks than single individuals, business owners, medical professionals or real estate investors. 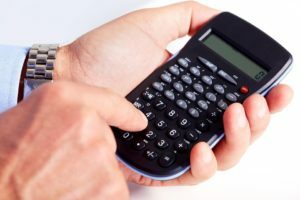 All have different liability evaluation steps to take into account. Asset values and your expectations of their performance also come into play when doing a risk assessment. One of the first areas to consider when starting a risk assessment is probably closest to you. Parents are 100% liable for the actions of their children. When evaluating the liability of children, your greatest risk will be when your children are of driving age. Do your children drive a vehicle registered or insured by you? One of the biggest open doors to risk is an at-fault auto accident involving your child. So many times, the liability is in excess of insurance coverage limits. Insuring your driving child is not enough protection. You need more for sleep-at-night peace of mind that your wealth will not come under fire from a judgment creditor. Insurance companies are masters at collection and have the financial horsepower to pursue debtors aggressively. Huge risk exposure can come from the most innocent activities. Examples are your minor child throwing a party at your house while you’re on vacation. Perhaps they are driving their friends to a movie in the family car. You can find countless cases of child-related liability that have wiped out a family fortune. Even owning a swimming pool increases your risk exposure. Parents with pursuable assets can be at high risk for a devastating legal/financial blow. Do you own a small business? In what state? How many employees do you have? Do they drive a company vehicle? What are your HR policies? What does your company sell? Small business owners are especially at risk from internal and external liabilities. There are risks associated with being an employer and selling a product or service. Where does your risk come from, and how do we protect you from potential liability? A slip and fall in a retail store, an auto accident in the company car, and product liability; these are just a few of the legal challenges we’ve seen over the years. Carrying high insurance limits is a good start. However that is not enough to guarantee your financial survival after a massive liability exposure. You have risks from employee activities, customers, your product or vehicles. Homes exude risk, whether it’s the one you live in, or own and rent out. A neighbor tripping on newspaper delivered to your home caught one of our clients off guard. It put his whole estate at risk. A vacant rental home where local kids rollerbladed down the steps to the sidewalk that caused injury. It turned an investment into a liability nightmare overnight for a family we protect. Insurance policies were in place for both of these examples. However it’s the job of the insurance company’s legal team to find a way out of paying. In the case of the vacant rental house, our client had insurance and was current with policy payments. However in the fine print the policy only covered the house with residents. After it was vacant for two months the insurance policy was void – even with current payments. Homeowners need to be especially cautious with the risks of owning real estate. Medical professionals, practitioners and physicians are labeled as “deep pocket” defendants. The most commonly sued medical professionals are cosmetic surgeons and OB/GYN’s. Are you a physician? Do you own your own practice? Do you own the building that houses your medical business? Owners of medical practices and buildings fall into the high-risk category right along with the doctors. 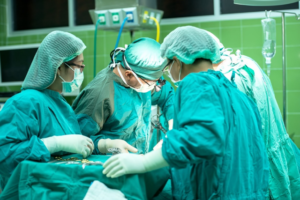 Medical malpractice is one of the highest lawsuit drivers in the medical industry. Our client doctors and medical business owners receive special attention. This is due to the nature of their business and the history of lawsuits in their field. A malpractice judgment in excess of insurance coverage is the kiss of financial death to an unprotected individual. This is a huge driver in the planning process. How much are you protecting and in what form is the asset? A rental home as an asset comes with inherit risk. However an investment account or cash poses no internal risk. Nobody is going to slip and fall on your money market account. But you should still hold the assets in a protective vehicle for liability associated with the accountholders. For Real estate, we establish protective vehicles, such as trusts and LLCs for property equity in excess of $150,000. This is whether that equity is in a single property, or four. 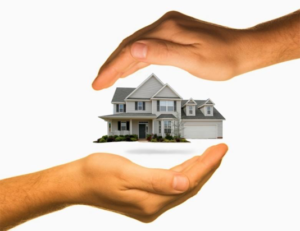 As property value increases and equity builds, you should update your asset protection plan. We often use the fewest number of legal structures necessary. This reduces the annual costs and operating formalities of business entities (depending on the state). The protective features come from separating assets from liability and placing them into legal structures that limit the risk. In the event of a devastating lawsuit spurred from an office building you own, you limit the liability to the entity that owns the building. This is separate from the entity that you use to run your business. We strategically create asset/risk separation and compartmentalization. This is similar to fire doors in a building to prevent a fire in one area from spreading throughout the whole building. Risk containment could be used to describe this tactic. Determining what types of investments you are most comfortable with and what your expectations of return are helps us lay out options during your protective planning. There are plenty of investments available such as Bonds, NYSE Stocks, NASDAQ Stocks, Money Market, Balanced Portfolio, Insurance and Real Estate opportunities. With the proper legal tools, you can protect your wealth while experiencing the return you’re looking for. We have professionals who can walk through your own personal asset and risk assessment. We can provide you with protective options within minutes by calling right now. Our asset protection planning services combine the world’s strongest protective vehicles. We do this in the jurisdictions that offer you the most peace of mind and convenience. For more information, call us for a free consultation.